Texas’s Leander Independent School District started down the one-to-one computing path by talking first to curriculum staff and teachers to learn more about the tools their students needed for more effective and engaging digital learning. Scott Monroe, Leander’s executive director for IT, says such computing devices offer teachers and students access to the Internet and numerous online educational tools and applications. 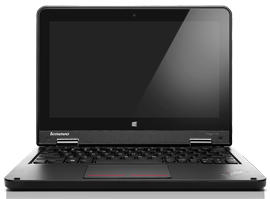 Because math, science and language arts typically have different needs when it comes to device function, the district opted for a convertible notebook from Lenovo. “We felt the device gave teachers and students the option to run the system the way they felt was best,” Monroe says. 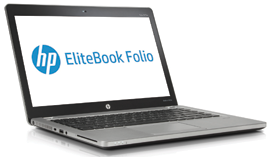 By choosing convertible notebooks over desktops or even traditional notebooks, the district ultimately can eliminate computer labs, dramatically cutting IT costs, he adds. “During many periods of the day they go unused, so it just makes more sense to give the students a device they can use throughout the day or when they are home,” Monroe says. Leander ISD’s experiences dovetail well with some of the findings in MDR’s “State of the K–12 Market 2014,” which reports that in 44 percent of all U.S. districts, one-to-one computing is substantially implemented in high schools. In middle and elementary schools, the figures are 36 percent and 20 percent, respectively. Schools also report experimenting with new instructional models: 63 percent of districts have implemented flipped learning in at least some classrooms, while 60 percent reported using a blended model, where students split time between online and face-to-face instruction. What devices are districts deploying? Educational goal: Wendy Jones, director of technology curriculum and innovation, says the district seeks to connect curriculum with technology to create an environment in which all students will graduate with “every option open,” and without economics determining success. Device benefits: Sarah Martinez, senior director of information technology and decision support, says the district opted for a touch-screen device because math teachers wanted something students could write on and science teachers needed something that could incorporate digital probes. The convertible notebook option allows both. Commonly used apps: Leander taps Google Apps for Education and other Web 2.0 tools for polling and making presentations. Advice: Leander ISD taps security tools within Cisco Meraki to track devices and perform remote wipes on lost or stolen devices. Extensive parent training helps parents to better understand how and what students are doing on their digital tools and emphasizes there’s help for them if needed. Tracy Nolen, director of client services, says a successful one-to-one program takes strong communication between the campus leadership, instructional technology and the IT staff. She also recommends getting students involved. Most won’t become specialized engineers at a young age, but they can handle Tier 1 help desk support calls. Educational goal: To comply with state regulations for conducting standardized testing, Visalia deployed 10,000 HP Chromebooks in mobile carts districtwide. Device benefits: Chuck Boone, director of technological services, says the district needed a device that was relatively inexpensive and easy to deploy and maintain. 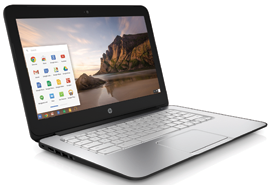 Each unit cost $397, which includes the Google OS management license and district logo engraving to prevent theft. The 14-inch screen is good for online test taking, and the cloud-based Google Admin Console tools make management even easier. Because everything is managed in the Google cloud, there’s much less chance for viruses to infiltrate the district’s computing environment, Boone says. “There’s really no place for the malware to store on the device and spread an infection,” he adds. Commonly used apps: Students run the standard Google Apps word processor, spreadsheet and presentation programs. Teachers make assignments via Google Classroom, and students also collaborate on class projects there. Advice: Districts looking to comply with state testing regulations should choose a device that can support the latest educational apps. While transitioning to a more modern classroom wasn’t the main goal at first, educators and IT quickly realized they could leverage the devices for daily educational use as well. Educational goal: District officials sought to prepare students for a digital world by focusing less on the device and more on how resources and content are presented or managed. Device benefits: Houston ISD is now in the second year of a three-year program that will roll out 65,000 notebooks to 43 high schools in the district. Lenny Schad, chief technology information officer, says the notebooks are durable and allow IT to manage them or lock them down using familiar Microsoft tools. Advantages: Because of the sheer scale of the project — and the fact that 80 percent of the students are on free or reduced lunch — price played a major role in the final device choice. The district pays roughly $300 per unit, which includes accidental damage protection. Savings through a four-year lease will allow the district to gravitate to touch-screen technology in the future. Advice: Planning and training are very important to one-to-one success. Start by forming a team that includes IT, curriculum developers, administrators and communications. Educational goal: Administrators wanted an affordable, modern learning device that could be used in partnership with Google and Discovery Education. 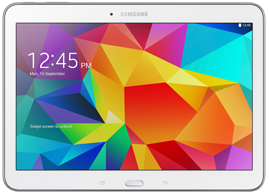 Device benefits: The district issued more than 3,000 of the Samsung tablets to students in grades 6–12. Students now have a portable device that allows access to the Internet and Google Apps for Education, including Google Docs and Gmail. Unlike other tablets, dual cameras deliver greater visibility to science experiments. The device also eases distribution of various educational apps and electronic textbooks. Advice: Gary Bloom, interim coordinator for information technology and support services, says the district took an extra step in deploying AirWatch’s mobile device management software, which allows IT to track devices and lock or remotely wipe them if lost or stolen. They also use AirWatch’s Content Locker feature to secure educational content. Bloom and his team carefully manage applications, installing them exclusively through the IT office and prohibiting students from installing applications on their own. Educational goal: The district sought to globalize curriculum by making connections outside of the district’s schools. It also wanted to create an environment where students could learn throughout the day as opposed to only in a classroom, and create and collaborate with more digital content. Device benefits: Joel Handler, director of technology, says the Acer touch-screen product was a good choice because officials there wanted a device that students could manipulate with their fingers, especially for math and science classes. 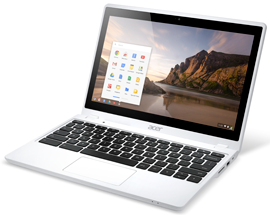 They also like that, at its core, the Acer Chromebook is a notebook, and the device’s 11.6-inch size suits the needs of most students. Commonly used apps: Students use Google productivity apps to work collaboratively on ­class projects and homework assignments. Advice: Work closely with teachers to develop a strong educational need for classroom technology, Handler says. Teachers should feel that they can explore and fail without repercussions. In Hillsborough, two teachers help plan lessons and work with other teachers to use technology more effectively in the classroom. The IT team also trains teachers on software and members are available throughout the day as technical issues arise. Sarah Martinez, senior director for information technology services at Leander ISD emphasizes that educational technology should not be device-focused, but instead reflect the specific needs of each district or school. She shared several lessons Leander officials learned while implementing the district’s own one-to-one program. It is truly about good instruction – not technology. Maintain focus on how teachers can leverage the technology for innovative teaching and learning, as well as to improve student engagement and ownership. Campus leadership is absolutely critical. Build and support collaboration tools and processes for teachers supporting teachers, teacher-to-teacher collaboration and professional development. Empower teachers to solve issues as they arise and share their best practices. It takes a village: Collaboration and coordination across district-level departments and within campus leadership and department or grade levels is important. Engagement and over-communication with parents and the community at large is also very important. Provide parents with opportunities to ask questions and provide feedback throughout the process. Communicate often, be transparent and provide mechanisms to gather feedback. Time spent training students is worth it. Provide direct instruction on care and use, digital citizenship, navigation and basic tools along with opportunities for students to explore and share what they have learned. Build student leaders and empower students to be partners in the initiative. Involve students at every step of the way and create mechanisms to gather student feedback. Marketing and communication matters: In the absence of information, people make up their own stories. The what-if’s from those stories often end up sounding much worse than the realities of any implementation. There is no substitute for good organization and planning. Deployment day does not have to be stressful. Deployment processes should be clearly defined and efficient. The real work begins once the devices are deployed. Set clear expectations and devote resources to support teachers in transforming teaching and learning in their classrooms.